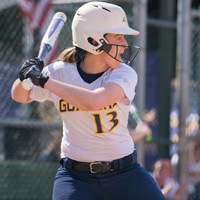 Webster University students have been recognized as NCAA Division III national statistical champions in several categories on the baseball and softball fields. The baseball team was recognized for a trio of national baseball statistical champions. Pitcher Josh Fleming, a junior at Webster, was declared the 2017 NCAA III statistical champion for "Lowest Earned Run Average" (ERA). Fellow pitcher Kyle Uhrich, a senior, was declared the NCAA III "Strikeouts Per Nine Innings" statistical champion. Despite pitching in only 59 innings, Urich's 90 strikeouts ranked 21st in the NCAA III for 2017. In addition, the Webster baseball team is the 2017 NCAA III statistical champion for "Strikeouts Per Nine Innings." Webster, as a team, had 417 strikeouts in 370.2 innings pitched for a 10.1 average per nine innings. The performances of both Fleming and Uhrich landed them attention from the ranks of professional baseball. 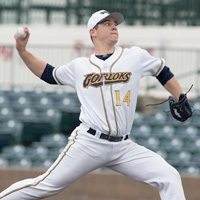 Fleming was selected by the Tampa Bay Rays in the fifth round of this summer's Major League Baseball draft. 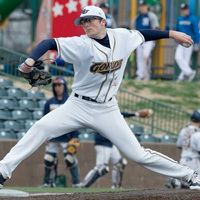 Uhrich, a graduate of Webster Groves High School, recently signed a contract with the Gateway Grizzlies of the independent Frontier League. Read more on the baseball achievements in this story at Webster Athletics. These awards come a week after softball player Karissa Cardenas, who graduated this spring with a degree in business administration, was declared the "Toughest to Strike Out" in 2017. Cardenas, from Henderson, Colorado, did not strike out during the past season in 102 plate appearances -- an incredible feat for a fast pitch softball player. Read more on Cardenas' achievements in this story at Webster Athletics.